"Absolutely one of the most comfortable saddles you'll ever ride!" This cushion seat Montreal Style western trail saddle has western rigging and padded trail stirrups for the most comfortable ride you can get on. Bridle leather and solid brass hardware throughout. Has a rear rigging dee ring to attach rear cinch. Available in black or havana sunset in 16" only. This saddle is Hand Made from the tree up. The details are surperior. This are very well made saddle it is the best that i have ever sat on We have also came across 2 used M&W montreal troopers and had bought them we love them, we have got rid of all our "high priced" well known brand name saddle because they don't compare to the M & w brand saddles. I will never ride anything else again. 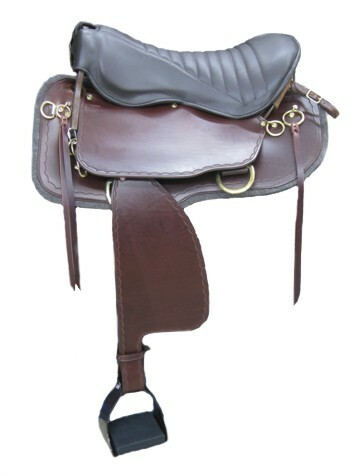 I love my saddle I have rode many any there is not one thats more comfortable!